From L.A. to T.O. Welcome to Rodeo Drive Condominiums at The Shops at Don Mills. Here, in Toronto’s trendiest urban village surrounded by upscale shops and gourmet restaurants, you can live the life you love. 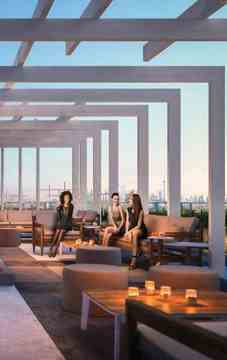 Come home to stunning architecture, cosmopolitan amenities and a lifestyle inspired by Beverly Hills, L.A. 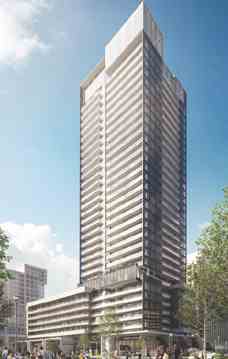 This is Rodeo Drive Condominiums in the heart of T.O. With beautiful parks, green space and trails in the Don Mills neighbourhood, it’s no wonder CF Shops at Don Mills is a destination for outdoor adventurers, yoga enthusiasts and health nuts! Rodeo Drive Condos is a condo development by Lanterra Developments currently in preconstruction at O'Neill Road, Toronto.